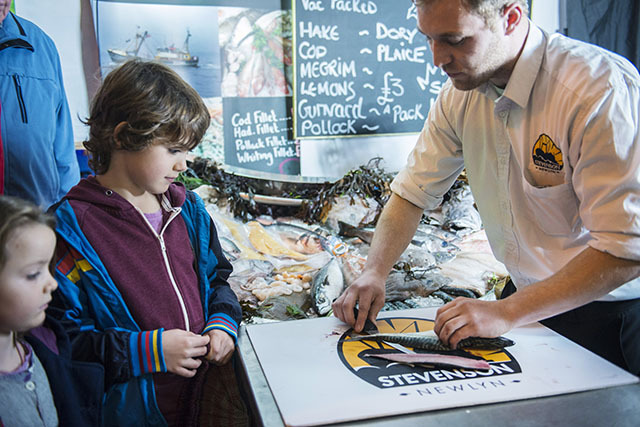 Last year over 40,000 people descended upon the small fishing town of Padstow for one of the most incredible food festivals Cornwall has seen. 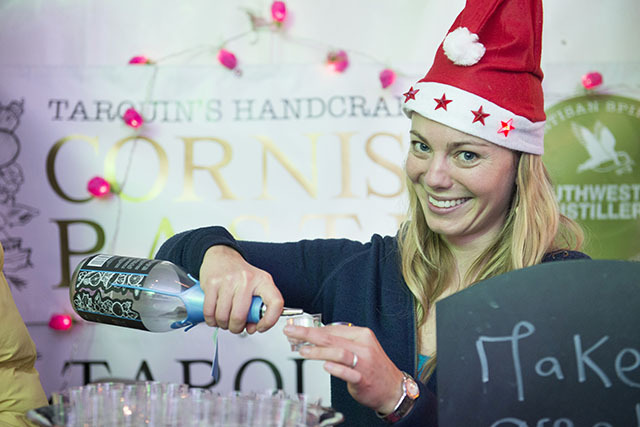 This year the community-run Padstow Christmas Festival returns from 4 to 7 December with more than 40 chefs and 110 artisan producers showcasing their wares in a celebration of food and drink, Christmas and Cornwall. We’ve picked out some of the not-to-be-missed highlights, but please visit www.padstowchristmasfestival.co.uk for full details and exact timings of events. We reckon that the chefs taking part in the festival hold at least fifteen Michelin stars between them. 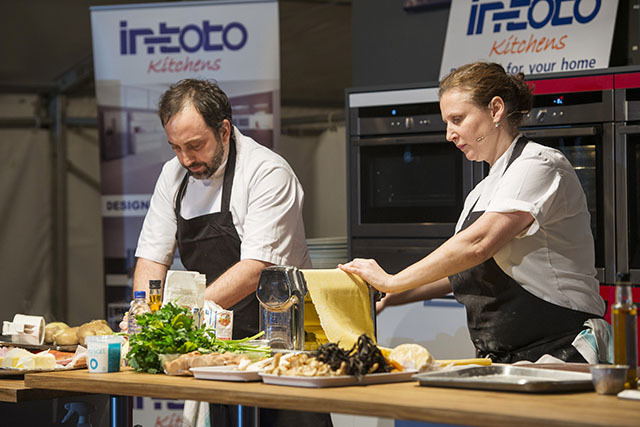 With such a high calibre of talent you can expect some fabulous cookery demonstrations on two stages: The Sharp’s Brewery Demonstration Theatre and The Festival Kitchen. 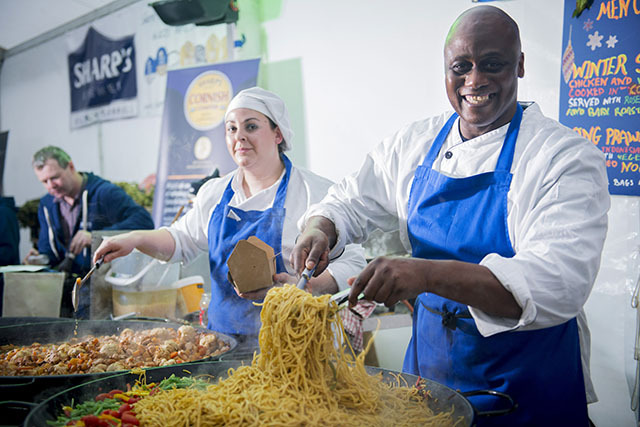 Pictured above are the chefs who appeared at the 2013 festival. Demos begin on Thursday 4 December with the apprentices from Fifteen Cornwall in The Festival Kitchen at 12 noon, and Adrian Oliver and Ben Prior taking to the stage at 1pm in The Sharp’s Brewery Demonstration Theatre. 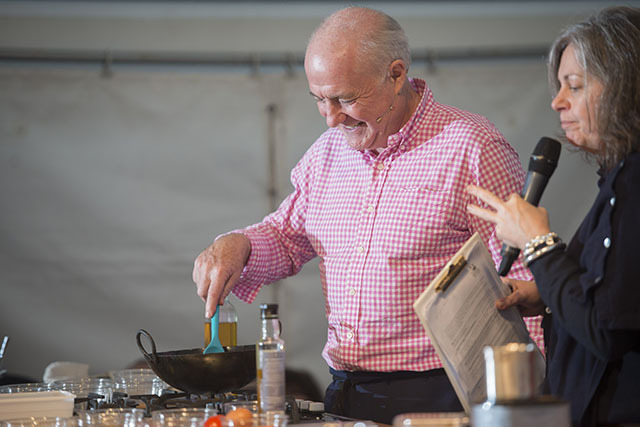 If you want to see your favourite chefs from the telly then don’t miss Michael Caines, Angela Hartnett, Phil Vickery, Nathan Outlaw, Paul Ainsworth and Rick Stein. Also appearing are Ashley Palmer-Watts, Mitch Tonks, Andy Appleton, the Sanchez brothers, Mark Hix, Jack Stein and many more. You’ll have the opportunity to put your questions to industry experts and learn about this season’s food trends in the food forums. The discussions will be taking place on Friday 5, Saturday 6 and Sunday 7 December. Saturday’s forum will be led by The Daily Telegraph’s Xanthe Clay, where the panel will discuss how the media influences where and what we eat. This is the second collection of fabulous recipes from chefs with a connection to the festival and contributors include Tom Kerridge, Rick Stein, Paul Ainsworth, Angela Hartnett and Mitch Tonks. Money from the sales of the book goes to support the festival. 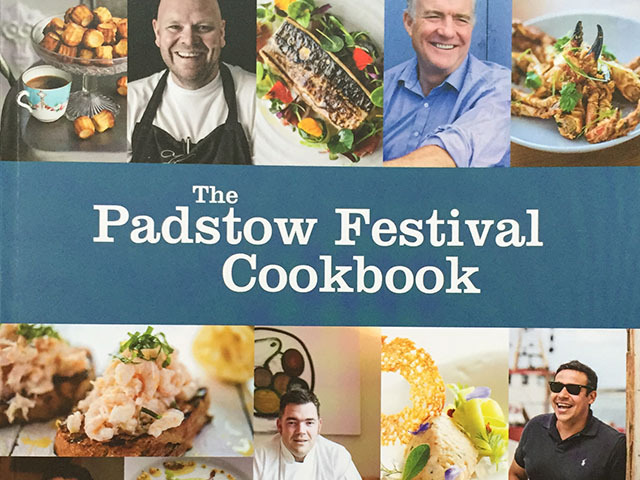 Priced at £9.95, the book will be available to buy at the festival bookshop, with regular book signings by chefs. In the meantime, why not enter our competition to win a copy of the book signed by Rick Stein and Paul Ainsworth. 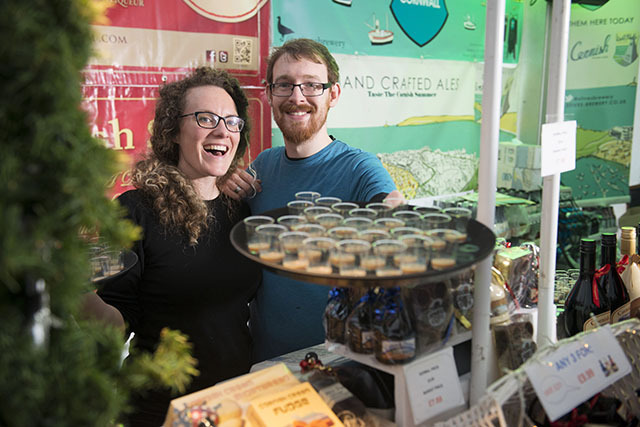 The enormous marquee on the quayside houses the traditional Christmas market with 110 artisan producers exhibiting their crafts, gifts, food and drink. This is a fabulous opportunity for you to meet local producers and lots of food stalls will be offering tasters so make sure you’re hungry. Christmas shopping isn’t limited to the marquee as the town’s shops will also be open for extended hours. Street food and drink stalls will be popping up across the town to provide sustenance during the festival. There’ll be doughnuts and noodles, hot dogs and pizzas, plus hot, cold, soft and alcoholic drinks. Father Christmas will be travelling through the town on Friday 5 December on a horse-drawn Victorian carriage with help from the Lizard Stallions and coachmen dressed in traditional finery. He will then take up residence in his magical Narnia-inspired grotto, where there will also be arts and crafts activities for children, including card making, cookie decorating, games and face painting. At 1pm on Saturday 6 December hundreds of runners dressed as Father Christmas will be accompanied by cycling Santas who will arrive by bike along the Camel Trail. 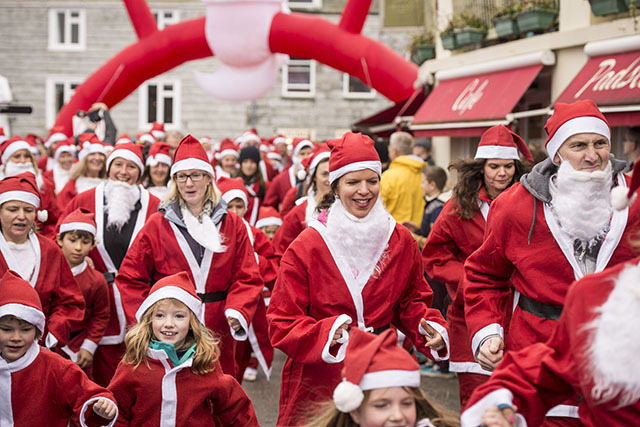 Santa’s Fun Run is in aid of Cornwall Hospice Care and everyone is invited to don a red suit and running shoes and either run, jog or walk around Padstow. 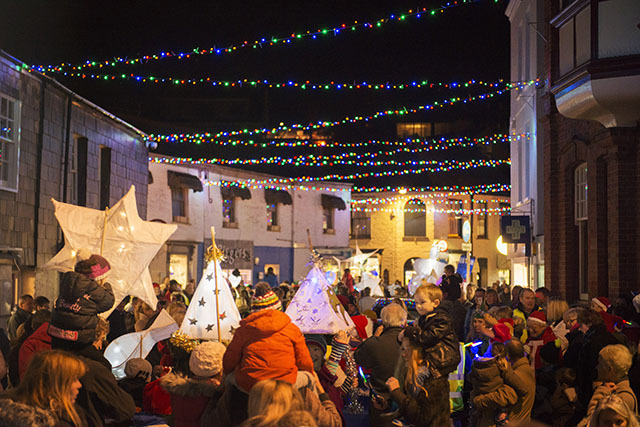 Padstow’s Christmas lights will be switched on at 6pm on 30 November. The illuminations are entirely funded through voluntary effort and donations and have been an annual tradition since 1975. A spectacular firework display will take place on the evening of Friday 5 December. 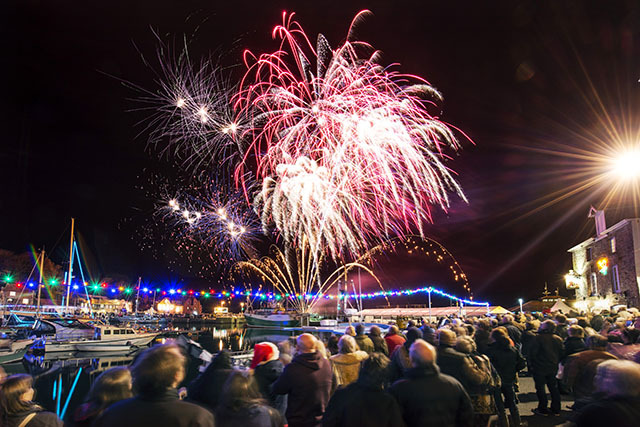 Visitors are invited to join the carol singers around the town’s Christmas tree and enjoy a glass of mulled wine by the harbour whilst watching the fireworks over the water. 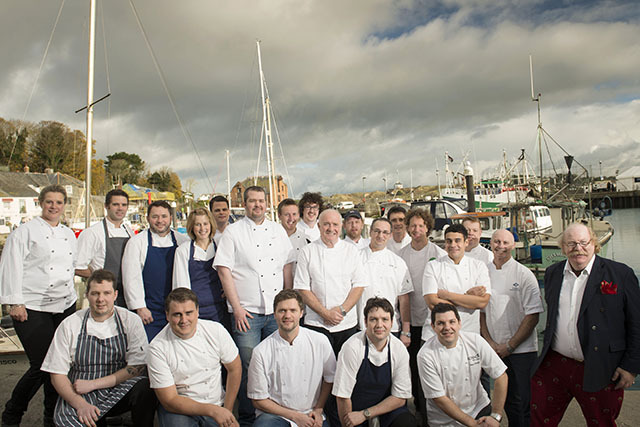 For more information and the full programme of events please visit www.padstowchristmasfestival.co.uk.